I’ve always loved reading. Even from a very young age, I would snuggle in my reading corner and get through book after book. As a child I was a huge fan of the Jacqueline Wilson books and of course Harry Potter! Even today, I find reading one of the most relaxing things to do when I need a little time out. So far, our girls have inherited my love of reading. They adore story time and it really settles them down before bed. We have a huge library for them to get through, which I began adding to as soon as we found out I was pregnant with our eldest! We like to made reading a fun thing to do, so that both girls continue to enjoy their books. I have so many more reads for them to enjoy as they get older! With our love of reading in mind, this week I’ve teamed up with Room to Grow to share a fabulous competition with you. One that will leave your little bookworms wanting to read more and more! Room to Grow have partnered with Tidy Books and are giving away two of their personalised bunk bed buddies. They’re available in a variety of colours to suit any room style and they can also be personalised, making them even more fun for your littles! Room to Grow’s Tidy Books competition is a fabulous way to raise awareness around the importance of reading with our children. Not only does the product look great, it also serves a very important purpose. Developing a genuine love for reading from a young age, can only set our children in good stead for the future! The bunk buddies are a great way for our children to read independently too, it allows them to store their favourite books all in one place, giving them loads of choice when they feel like settling down to read! We all like different things. It’s what makes the world turn. Things would be boring otherwise. Even when we like the same things, we like doing them in different ways. Take reading, for example. For some reason that we can’t quite fathom, it’s not for everyone. Even the tastes of established bookworms vary. We’re not only talking genre, though that’s one huge difference. Often, tastes change in the way people read. Some people can read whilst walking. Others wouldn’t dream of picking up a book unless they knew they could finish a chapter. Some people can read while they cook or clean. Others like to snuggle down and get stuck in, but what if you’ve just started on your reading journey? You won’t know what suits you yet, and the advice varies so much that it could be hard to decide. That’s why we’ve taken a look at some of the favourite reading spots out there. Whether you choose to take inspiration from each of these or follow them the way they are, they’re sure to give you some ideas. The first thing to consider is comfort. Of course, it’s not necessary for everyone. Those who read while they’re walking have given up the quest for comfort to pursue their passion. For most of us though the more comfortable we are while reading, the better. We love books so much because they allow us to escape, right? So, it makes sense that we find a comfortable spot in which to escape! It can also help with all these spots, to stock up on a hot drink and a packet of cookies. Who doesn’t love a snack whilst they read? Trust me, once you’re settled in the perfect spot, you aren’t going to want to move! While it’s not necessary to surround yourself with books, it can help get you into the reading mood. Every book lover knows that having books all around makes for the best reading environment. A library also gives you a space where you can keep all those books you’ll be buying. So, if you have a spare room you should give some serious thought to making a library. So, how do you go about making the perfect library? Of course, this all comes down to personal taste. 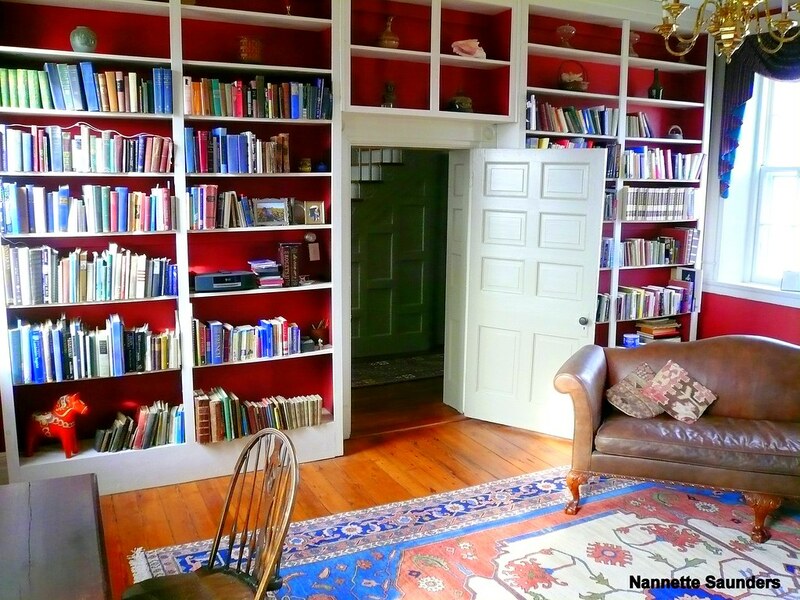 There’s no getting around the fact that you’ll need bookcases. It’s worth buying more than you need. 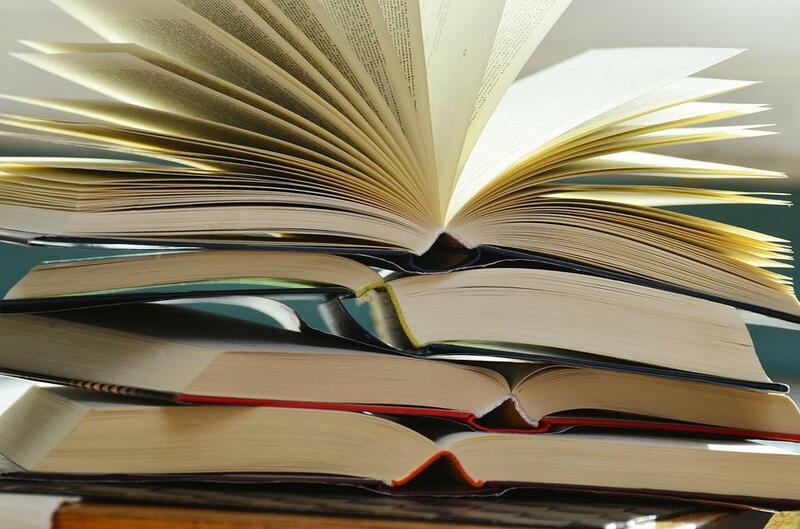 Book collections have a baffling habit of growing at a fast rate. Don’t worry if you have empty shelves for a while. Get creative and use them to display ornaments or things that add something to the room. You’ll be glad of those extra shelves. There’s nothing worse than having to curb your book obsession because you don’t have room for any more. Chances are you would buy them anyway and end up stacking them all over the place. Not that we’re against the odd book stack! That’s the shelving taken care of, but how is this going to become your favourite reading spot? That’s where your library chair comes into play. Every good library has a comfortable chair. Pick a chair that you can imagine yourself relaxing in. Think about your reading tastes as they stand. Do you like to stretch out, or are you happy to curl up in an armchair? If you want space, you could opt for a library sofa instead. Who said you have to stick with tradition? Then, stock up on blankets and cushions to suit your tastes. Don’t forget to buy a small table to go next to your chair, you’ll need it for your snacks and drinks! 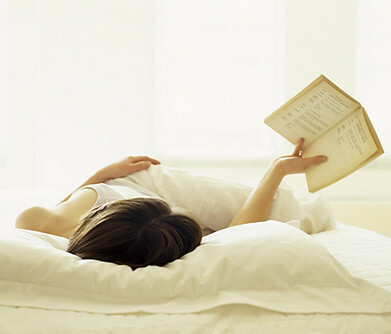 Talking of readers who like to relax, many readers enjoy reading in bed. It makes sense. What better place to escape and unwind in the evening? Of course there are more reasons to get the perfect bed than just making it right for reading, but to make this the perfect reading spot stock up on new pillows from somewhere like Plumeria Bay. These will ensure you’re comfortable when you read and sleep. You could stock up on a nice blanket here, too! To make things more relaxing, you could also stock up on some candles. Nothing beats a little candlelight and a beautiful scent whilst you’re reading. To add to the atmosphere, you could stock up on literary inspired candles for the occasion. Think about the lighting in your room. Stark lighting isn’t going to help you relax. If anything, it’ll glare off the page and give you a headache. To ensure you can read for as long as you want, think about dimming that lighting a little. It’s worth stocking up on bedside lamps that you can turn on and off at your discretion. They’ll offer a much more relaxing ambiance to the room. They’ll also ensure the glare on your page won’t be too much. Reading on the couch is always a treat. Much like with reading in bed, it allows you to stretch out and relax. The good thing about couch reading is that your brain is less likely to think it’s bed time. That’s not to say that it’s not easy to fall asleep on the sofa. It most definitely is! If you live on your own, you’ll be able to enjoy all the uninterrupted couch time you like. The best part about this is that you can use it as an excuse to stop watching television! Instead of watching programs you have no interest in, get lost in a book that you love. If you live with your family, it may be a little harder to find decent chunks of sofa time. Does your family turn the television on the moment they get home? No surprises there. Get into the habit of grabbing the chances when you can. If you have a free house for an hour, hop on the sofa and get reading. If your partner reads too, you could encourage him to stop watching television in the evenings. It could do you both the world of good! Ok this one isn’t so much about comfort, but it’s worth mentioning anyway. Many people seem to enjoy reading in the kitchen. It is after all, the hub of most homes. The good thing about reading in the kitchen is that you’re close to everything you need. You can have all the hot drinks you like when the kettle’s right beside you. Snacks won’t be a problem, either! Bear in mind that there may be some traffic through the kitchen if you have a family at home. For perfect kitchen reading, you’ll need to learn how to block out distractions. If you get used to people coming and going as you read, you might find you’re able to read when you’re out and about too! To add some comfort to the experience, stock up on some good kitchen chairs. It’s worth either buying padded seats or investing in some seat covers for them. 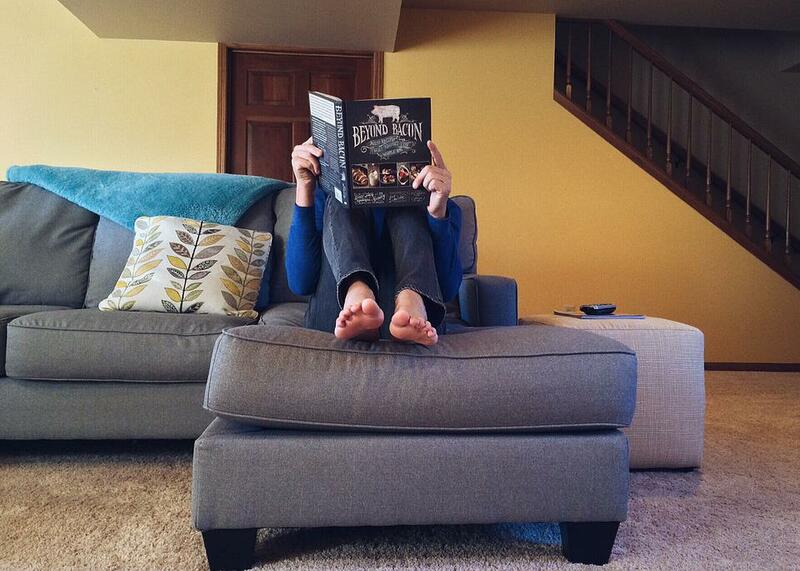 Hours of reading on a hard chair are sure to leave you with a numb bum! Find a position that you’re happy with. It might be worth sticking your feet up on another chair, just don’t let the kids see you! Think about buying yourself a special mug for the occasion. As you’re going to be drinking more hot beverages, you could always get a unique literary mug for your reading sessions!